What will 2012 have in store for investors? The rally we saw towards the close of 2011 has come to an end, and the New Year started on a reasonable note as this momentum briefly continued into the first couple of trading days of 2012. 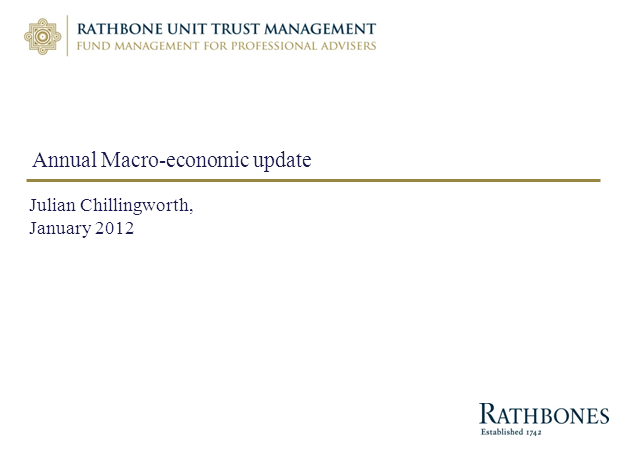 Join Rathbones CIO and Fund Manager, Julian Chillingworth for a ‘live’ webcast, as he looks at the year ahead, sharing his views on the markets and major issues which will shape investor returns throughout 2012. Title: What will 2012 have in store for investors?